The Layers toolset brings additional functionality to the Matrix. You can create unlimited layers on top of the source shot and its primary grade. 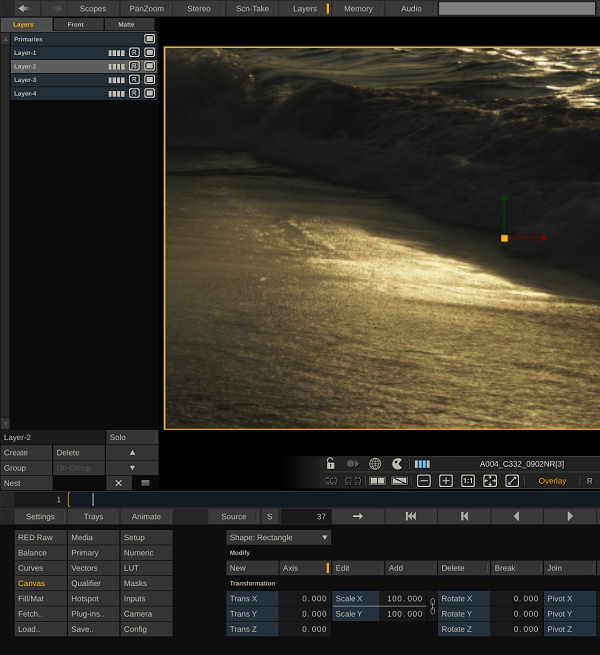 Each layer can have its own color grade, shape, softness, color qualifier, animation, fill, matte, and tracking. Layers are created and maintained from the Layer Hierarchy List. You can open the List through the top Viewport Control Bar of the Player. Swipe the cursor to the top of the screen to show the Viewport Control Bar and click the Layers menu item. By default the Layers list is a floating panel which you can move over the screen by clicking at the gripper in the lower right of the panel. The floating Layers panel shows and hides with the Viewport Control Bar, toggling with a top-swipe action. You can also close the Layers list by clicking the button with the Cross left of the Gripper. 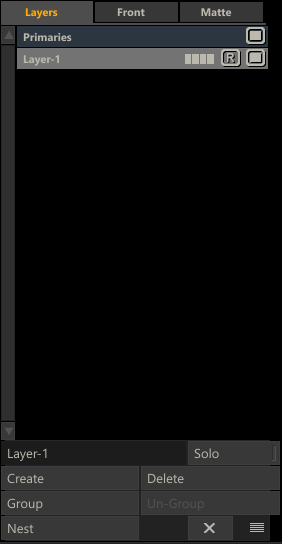 When dragging the Layers panel to the left side of the screen, the panel will at a certain point automatically dock to the left side and resize to cover the full height of the Viewport. When docked, the Layers panel will behave similar as Version- and Layer Stack on the right side of Viewport - hiding and showing on a left-swipe action. Note: Beware that when the Layers panel is docked it can be hidden while the Layers button in the Control Bar of the Viewport is enabled. To un-hide the panel you then either swipe left or click the Layers button twice.